The ‘Play 33 1/3 LP Series' is a first LP issue project of the masterpiece albums which have never been released on vinyl LP. The albums are released by Universal Music Korea and the heavyweight vinyl LP is pressed in Germany. Khiov designs the project, reforms the original artworks for the LP size and produces the sleeves precisely by handmade. You will have a chance to experience great analogue sounds and to enjoy splendid artworks through the series. 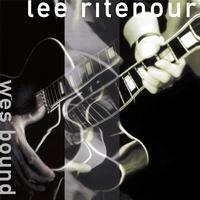 Renowned guitarist Lee Ritenour pays tribute to one of his idols, the great jazz guitar pioneer Wes Montgomery, on 1993's Wes Bound. One of Ritenour's best sellers, this Grammy-nominated album reached No. 1 on Billboard's Contemporary Jazz chart.